HILO, HI -- After a full year, six scientists have emerged from a dome atop a Hawaiian mountain where they spent 12 months isolated as part of a NASA experiment. A trip to Mars is expected to last as long as three years, leaving potential Martian travelers relatively isolated from humanity. 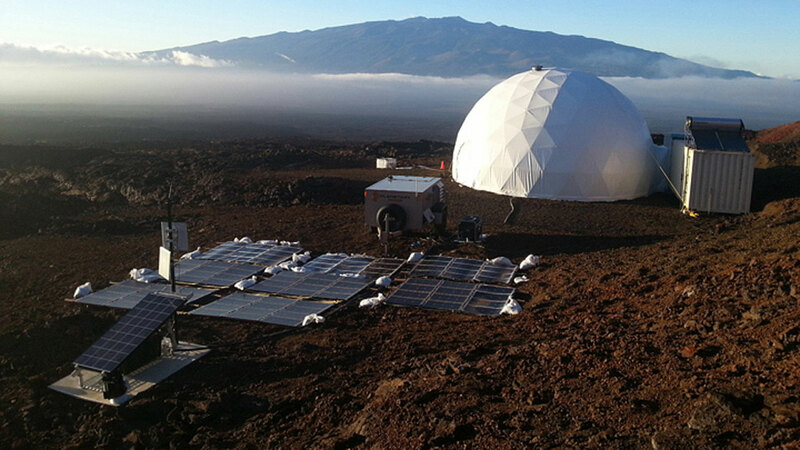 NASA funded the Hawaii Space Exploration Analog and Simulation (HI-SEAS) mission to investigate the effects of long-term isolation on the human mind. "When NASA is planning these long-duration missions, they have to eliminate or reduce all of the risks before they can go," HI-SEAS Principal Investigator Kim Binstead said during a press conference. "We're taking a full set of risks that have to do with the crew and their psychology and their well-being on these trips and reducing those risks or even getting rid of them." Throughout the experiment, the six scientists lived in a domed compound atop Mauna Loa. They were allowed to exit the structure only while wearing spacesuits. To make matters worse, the compound is situated within a rich landscape of rolling mountains, a challenge that proved "tempting" to crew member Tristan Bassingthwaigthe, a Montana native who was accustomed to spending time outdoors. "Bring a lot of books. Movies will hurt your eyes after a while," Bassingthwaigthe advised, adding that "self-developmental" hobbies helped him "not go crazy." A previous NASA experiment isolated scientists in the same compound for eight months. This iteration of the HI-SEAS investigation was the second longest in human history, beat out only by a 520-day experiment in Russia.